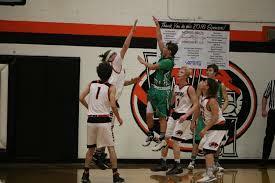 The Pierce City Eagles won a nail biter against the Liberal Bulldogs. Trailing by 4 with 36 seconds left the Eagles played Defense and got 2 quick baskets to get back into the game. Tied 59-59 going into over time the Eagles got 3 quick baskets to go up by 6. The Eagles ended up winning by a score of 67-64.